At 7-foot-1, NBA center Tyson Chandler is accustomed to reaching higher than just about anyone else. It looks like he’s attempting to do the same thing off court, as he’s offering his luxurious Hidden Hills home for rent at an eye-watering $75,000 a month. If leasing isn’t a slam-dunk, the equestrian home in the gated community of Calabasas, CA, is available for sale for $7.5 million. 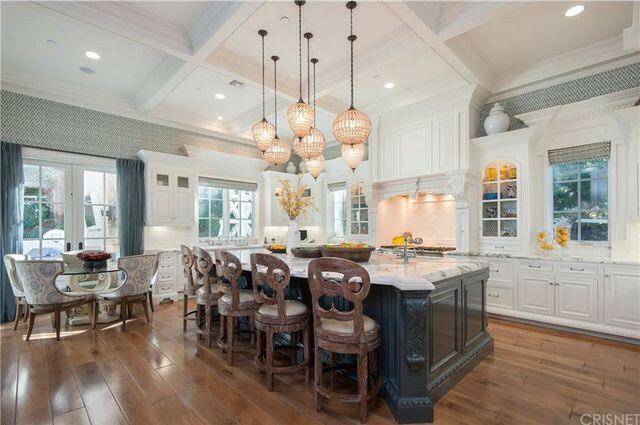 Chandler’s six-bedroom, seven-bath, and four-half-bath home is a beauty. Elaborately decorated, it’s one of the newer homes (built in 2007) in the chic enclave. 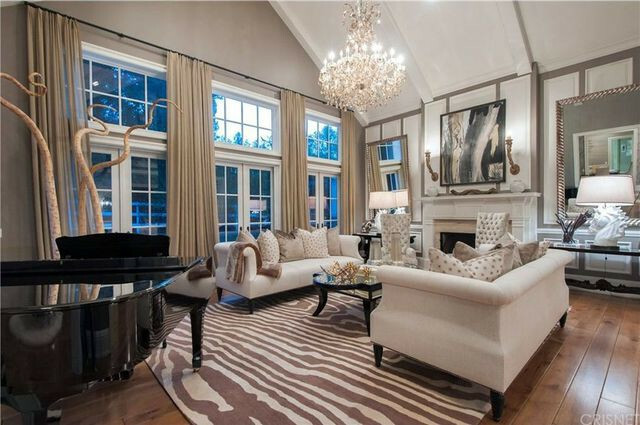 The median home price in this ritzy area is $4.8 million. 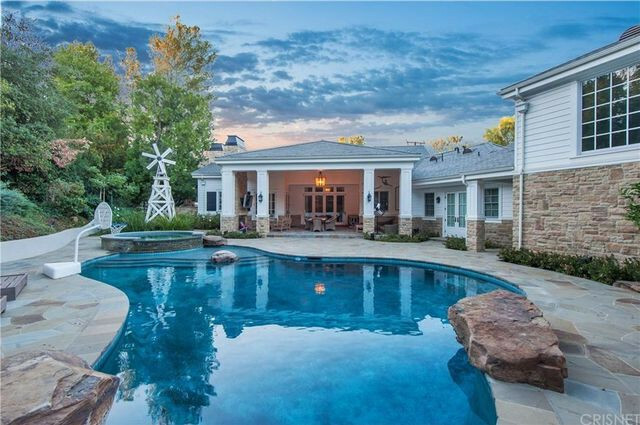 Tyson Chandler’s Hidden Hills estate is for sale or rent. 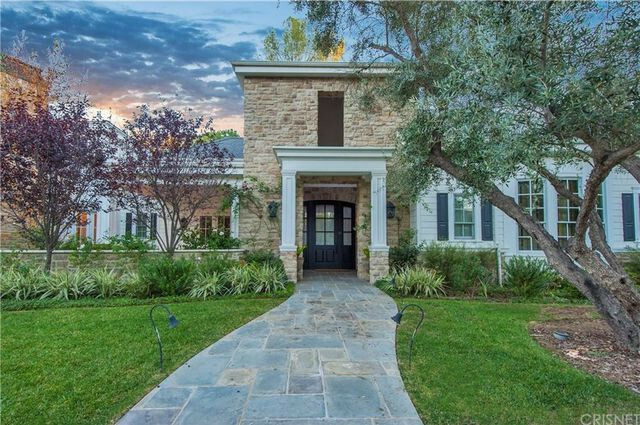 In the Calabasas area, the median rental price is $6,225, and the second most expensive rental is priced at $35,000 a month. 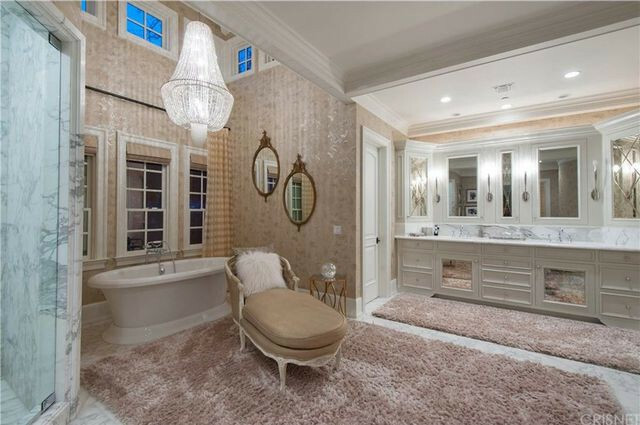 So this home’s $75,000 lease price might be a bit of a stretch. 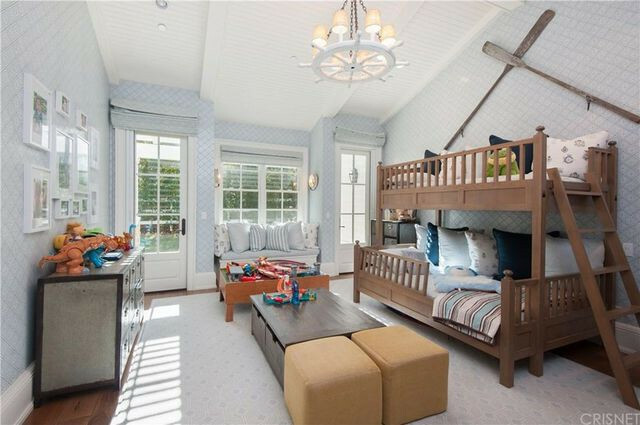 The 11,959-square-foot residence has myriad amenities, including six fireplaces, two children’s suites with a dedicated homework room, a paneled library, and a separate guest apartment with a kitchen and living room. 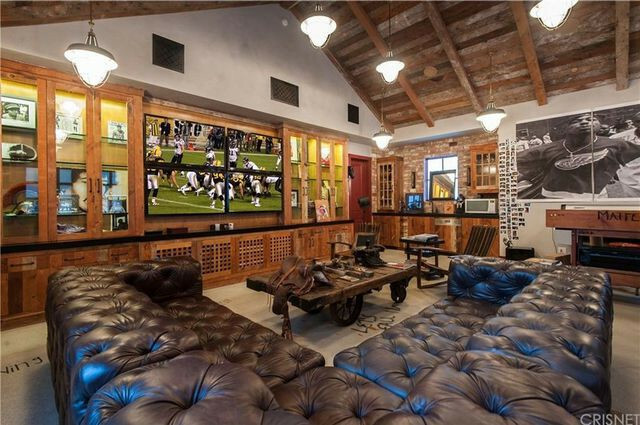 There’s also a detached man cave with a theater and a fully decked-out gym, befitting a stellar athlete. Although the entire house is on one level, some of the rooms, including the massive master suite, the living room, and the grand entry, have two-story ceilings—also befitting an NBA athlete. The 1.36-acre grounds include a custom pool, spa, outdoor kitchen, and a children’s play area. There are also outdoor fireplaces, fountains, and lush lawns. 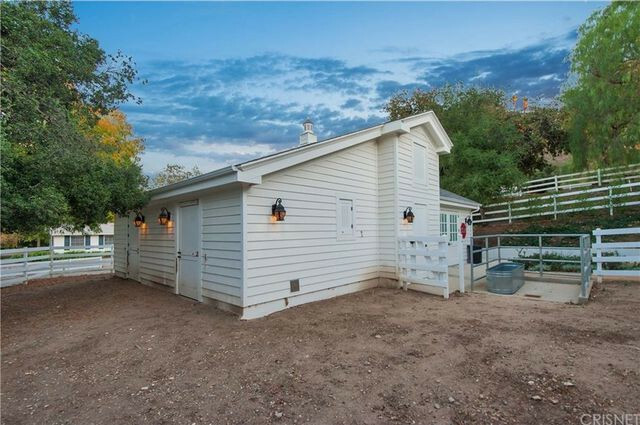 The property includes horse facilities and a barn, but the rental listing specifically states no pets, so it’s unclear if your equine friends are welcome. It’s best to inquire with listing agent Jordan Cohen. The Olympian bought the property in 2010 for $5.45 million. Five years later, he put the home on the market for $10 million. Last year he reduced the price to $9 million, then $8 million, and finally to its current price of $7.5 million. Chandler, 35, has been playing in the NBA since 2001, when he was drafted right out of high school. He’s bounced across the league, playing for six different teams. He won an NBA Championship in 2011 with the Dallas Mavericks and a gold medal at the 2012 Summer Olympics.